We require energy for our daily activities such as walking, working and playing. That is why we need to eat foods that provide energy to our bodies. Rice, wheat, maize, millet, barley, buckwheat and potato are few examples of energy giving food. Consumption of proteins helps in growth. Eggs, meat, fish, and milk are rich in protein. protein is also obtained from pulses, gram, peas, soybean, beans and gahat. The children and women are more susceptible to malnutrition because the women who do not get sufficient balance diet during their pregnancy gave birth to an underweight child. Children become its victims when they do not get enough breasts feeding, extra nutrients at their growing stage. The nutrients that provide protection are different types of vitamins and mineral substances. These vitamins and minerals can be obtained from various fruits, milk, yogurt and mohi, including various kinds of herbs and vegetables. 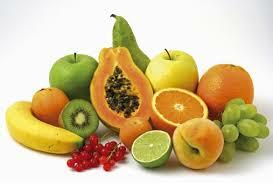 Therefore, we must include vegetables and fresh seasonal fruits in a balanced diet even in a small amount. Rice, wheat, maize, millet, barley, buckwheat and potato are few examples of energy giving food. Consumption of proteins helps in growth. Eggs, meat, fish and milk are rich in protein. Vitamins and minerals can be obtained from various fruits, milk, yogurt and mohi, including various kinds of herbs and vegetables. What are the disadvantages of packet food? It does not provide us the required nutrients to our body. Due to the mixing of different colors, tasting powder, east, and other inedible products that affect our health. The expiry date may have exceeded and turned into poisonous food. We suffer from jaundice, diarrhoea and high blood pressure due to the consumption of plastic foods. Plastic foods have low quality. Describe in short about body building foods. Describe in short about protective foods. Foods we eat are classified into _______. Eggs, meat etc. fall under ______. Potato, wheat, maize fall under energy giving food because ______. Fruits and green vegetables fall under _________. Papaya and fish belong to protective food because _______. i am doing gym nowadays so i need energy giving food which will be available easily so could u help me ? Any Questions on 'Types of Food '?